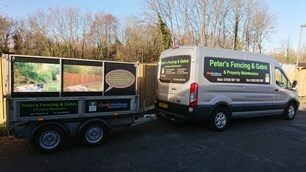 Peter's Fencing And Gates - Fencing/Gates, Home Improvements based in Chertsey, Surrey. Invoice history based on 91 reviews. All Aspect of Fencing and Gates, Erection, Repaired and Maintenance undertaken. We look forward to arranging an appointment and visit you to provide a free no obligation quotation for all your fencing needs.